Get rid of these people from your life. Remove them completely from your websites, delete or block them, do whatever it takes not to have anything to do with them, because no matter what you do, you can never please these people. Sometimes, letting go is hard because we just want to prove them wrong, and wish they’d change their minds. Another important thing I stress is, if they are hurting you, do not make it possible for them to contact you. 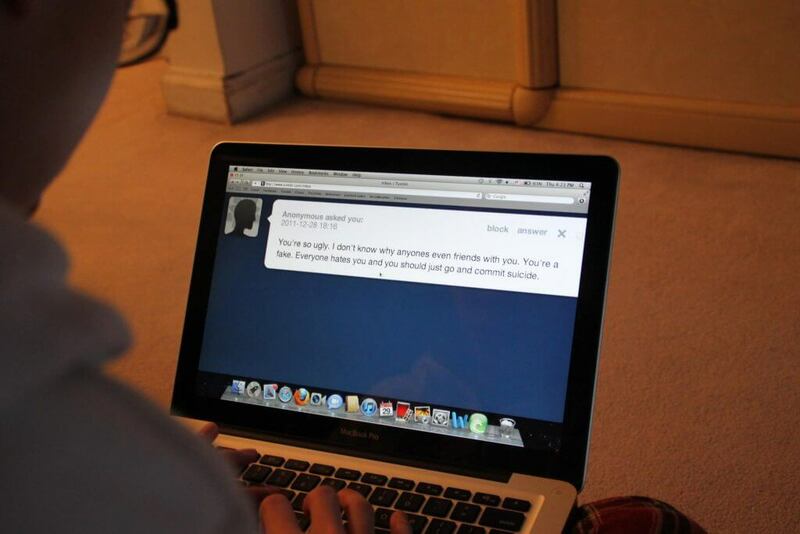 If you own a tumblr, do not allow people to message. If you have youtube, don’t allow comments. If you own a website, install word filters. You have a choice on what you want to tolerate or not, and nobody should ever judge you for it. I will be the first to say that often, it’s better not knowing than knowing and getting hurt from it. Perhaps they were sent to test your strength, to teach you the meaning of letting go and blocking them from our lives. Often, it takes a lot of strength to let something like this go. We all have self esteem, and in this context, I mean that we have respect and love for ourselves to a degree that it’s hard for us to find that some people disapprove. It’s all a survival thing, and you know what? That uncomfortable, bad feeling you get when you come across someone nasty is exactly the message it’s sending to you. Do something about getting rid of this person! We aren’t meant to feel bad forever. That feeling should be a message, or a warning I should say. Without feeling that, we would easily get taken advantage of and it may even kill us if we’re not careful. We do not need people in our lives to bring our self esteem down. There’s no need to start a fight, nor is there a need to insult them or fight back (unless you have a really good reason to do so), usually doing that will just give them the reaction they’re looking for, because some people love seeing others upset or hurt and find that amusing (God only knows why). 1. You feel bad about what they say because you are meant to do something. Remove them from your life, and you will feel better. 2. Let them make you want to do better, but not to please them, because these people are likely never going to be pleased. Treat them as people who probably say these things to make themselves feel better. (There’s no need to take people like this seriously, if they can’t be civilised enough to tell you something without being insulting). 3. It’s your choice who you talk to and don’t. Nobody can tell you anything, so don’t feel that it’s wrong to block certain people. Just like when you make a website or youtube channel, you are in charge of whether you allow people to comment. If you don’t want to deal with it, you should never have to. The choice should always be yours, and nobody should ever make you feel as if you’re weak for deciding on not tolerating these people. 4. Treat nasty people as bitter individuals who are like that to everyone, they’re probably not even picking on you, but they would’ve done that to anyone else too. 5. Focus on the good people in your life that bring you happiness and joy, because that will usually take your mind off these nasty people. Sometimes when we are too caught up in a mess of emotions, we only focus on the negatives. It can be hard to get it out of our heads, so I suggest simply read things they say or interact with them more. Make it so that nasty people don’t have room in your heart to worry or focus on. 6. Finally, thank them for making you stronger and more resilient. Our minds are strange things. The more we focus on something, the more we get upset over it. If we keep thinking about how horrible they are and why they’re doing this to us, the more we feel upset and angry. However, notice how when you start doing something else, you briefly forget about it, and during that time, you didn’t feel anything bad? That’s what you need to do to your mind, train it so that you can focus on something, and let your mind forget about it slowly. Something I find really helpful is channel that anger and do something meaningful, such as you can find the methods that work for you and figure out how you can help others deal with the same problem. There is always something you can do!